Lewis Hamilton said that his Japanese Grand Prix pole position, made easier by Ferrari's latest strategy blunder, is proof that Mercedes are a better team than their championship rivals. Hamilton's drivers' championship rival Sebastian Vettel will start eighth at Suzuka after the Scuderia messed up their top-10 shootout tyre strategy. Ferrari fitted intermediate tyres to Vettel and Kimi Raikkonen as rain threatened Q3, but the pair had to pit after one lap as the track remained dry. 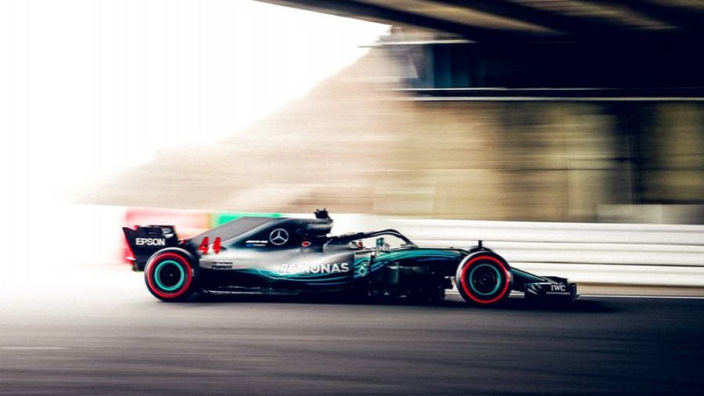 While they dithered, Hamilton clocked one minute 27.760 seconds to take pole by almost exactly three tenths from Mercedes team-mate Valtteri Bottas. Once the Ferraris were on-track with slicks, the rain intensified and errors at Spoon denied both Vettel and Raikkonen any hope. This is what racing means to us. Hamilton admitted that Mercedes had considered doing likewise to Ferrari, but hailed the decision-making from the Silver Arrows' pit-wall. "It is so difficult out there to make the right call, but I think that's another real big difference that we as a team have made this year," Hamilton said. "Every team has smart people, but ultimately when it comes to being under pressure and making the right decisions, the right calls – that's why we are the best team in the world and certainly deserved that." He added: "The team have done an amazing job this weekend and the call we made to go out for Q3 was probably the most difficult call. "You saw all of us fumbling and trying to figure out what to do. The team were just spot on with it and gave us the opportunity to grab this pole position. "So whilst it was a bit of an anti-climax, because we didn't get to do the last lap, it's my 80th… I can't believe I have 80, and it couldn't have done this without the team. "We worked so hard on this car to refine it, to improve it in all areas and even in ourselves in how we function: the processes we go through, our communication, everything. "It's really just such an honour to race for this team, for the guys, and I'm just so thankful. I never in a million years thought I would get to 80."